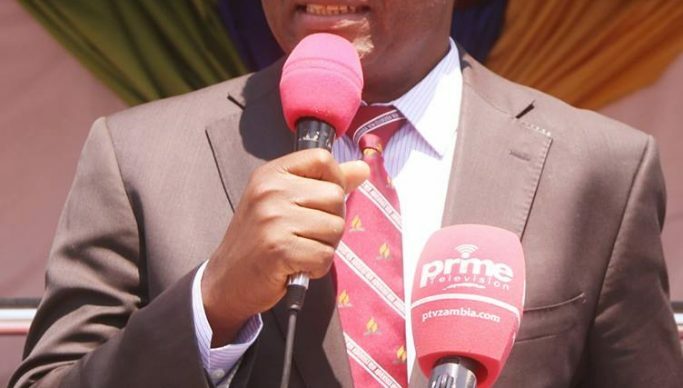 It is cruel and misguided policy to tax people sinking boreholes, opposition United Party for National Development (UPND) president Hakainde Hichilema has said. In a statement to newsdayzambia.com Hichilema said it is cruel to tax people who are finding alternative ways of accessing clean water for drinking arising from failure by government to meet its civic obligation of providing water, which is a human right. Hichilema said as a matter of fact, his party was of the view that such community initiatives by citizens were supposed to be rewarded by tax rebates than punitive measures of taxing them. “Furthermore, how can the PF be implementing such measures with the current drought in some parts of the country amidst unpredictable global weather conditions due to the effects of climate change? The fact is that the PF has no capacity to provide citizens with clean water for our citizens and that’s why many communities are currently sharing dirty and unhealthy water with animals, but when they take it upon themselves to access clean water sources by digging boreholes, they are punished,” Hichilema said. He said that this is retrogressive and kills community initiatives that are critical in complimenting government efforts in areas they fail to serve citizens. Hichilema added that citizens with a bit of resources in these areas should be encouraged to sink more communal boreholes and other water points as opposed to discouraging them and punishing them by burdening them with more taxes. He mentioned that this was just another scheme by the corrupt PF regime to abuse citizens by siphoning hard earned money from them and put in individual pockets to enrich themselves further. Meanwhile, Eastern Water and Sewerage company acting managing director Aaron Mulinda has reaffirmed the company’s commitment to connect more than 2,000 customers in Katete district in 2019 to ensure that most people had access to clean piped water. Mulinda said to ensure that 2, 500 people were connected, the company has developed an initiative called the private-public partnership where customers would contribute a 40% of the total cost while the company would meet the 60%. Speaking in Ibex compound in Katete district where the company has extended its service, Mulinda said people in Ibex should take advantage of the project to connect their homes. “The project of extending the service to section 5 of ibex at the length of 3.5km will be at a total cost of K700, 000 and the company has so far injected in K450, 000,” said Mulinda. And Section 5 chairperson Samson Phiri expressed happiness that Eastern Water and Sewerage Company had extended its services to the area. Phiri said people in Ibex were facing a lot of challenges in accessing clean water adding that the extension of water services in the compound would help reduce water borne related diseases. And one of the customers Lydia Tembo expressed happiness at the extension of water services to Ibex and urged other residents to consider connecting their homes if water borne related diseases are to be avoided.